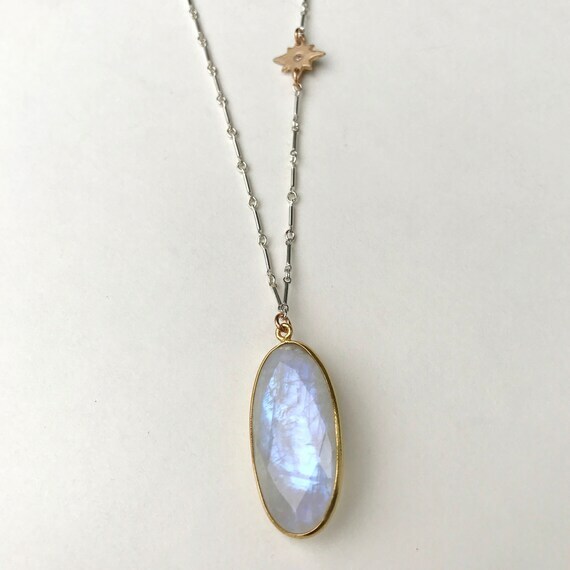 The Silver Moon Necklace features a beautiful bezel set double sided faceted rainbow moonstone with blueish flash. In the sterling silver bar and loop chain sits a small sparkling star of our original design. This necklace is 31" long.